To build up the folder structure you have to know the model name of your hardware. 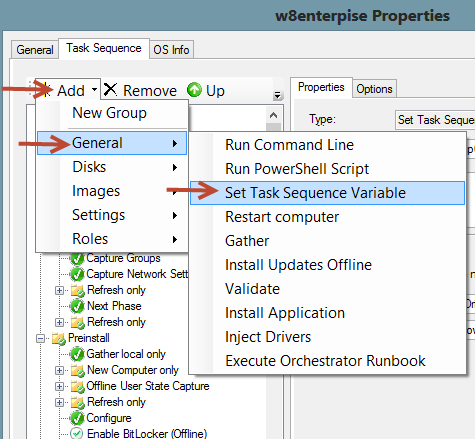 To retrieve the proper computer name execute at command prompt: ‘wmic csproduct get name’, to get the exact name WMI queries to determine the computer model. In my case the computer name is “Latitude E4600”. 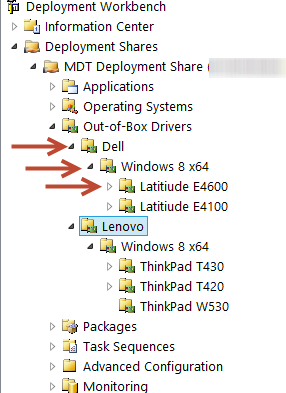 Now that we have drivers imported in our Deployment Share, it’s time to move on At deployment phase MDT uses WMI to query the proper computer model and only the current model drivers will be injected. In order to get this working properly, you have to use the EXACT model name in your Out-of-Box Driver tree. You don’t want to query dead horses. I usually place this new variable in the node just above the Inject Drivers Node. 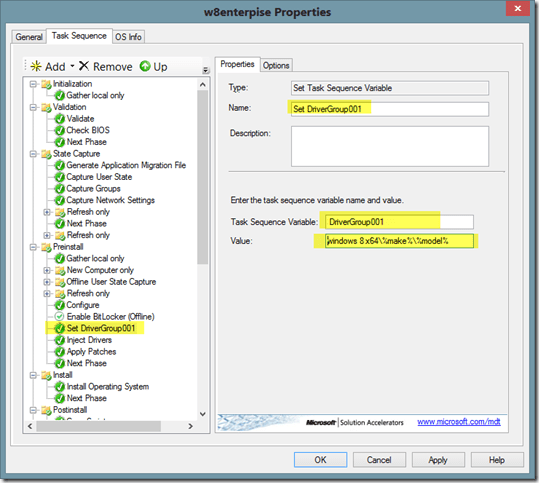 MDT will query the computer name and inject the drivers which corresponds with the computer name from the Out-of-Box folder structure, right before applying the image at deployment. I use ‘DriverGroup001’ as Task Sequence Variable, and windows 8 x64\%Make%\%Model% as value for my Windows 8 x64 Task Sequence . You have to adapt this to your Out-of-Box tree. 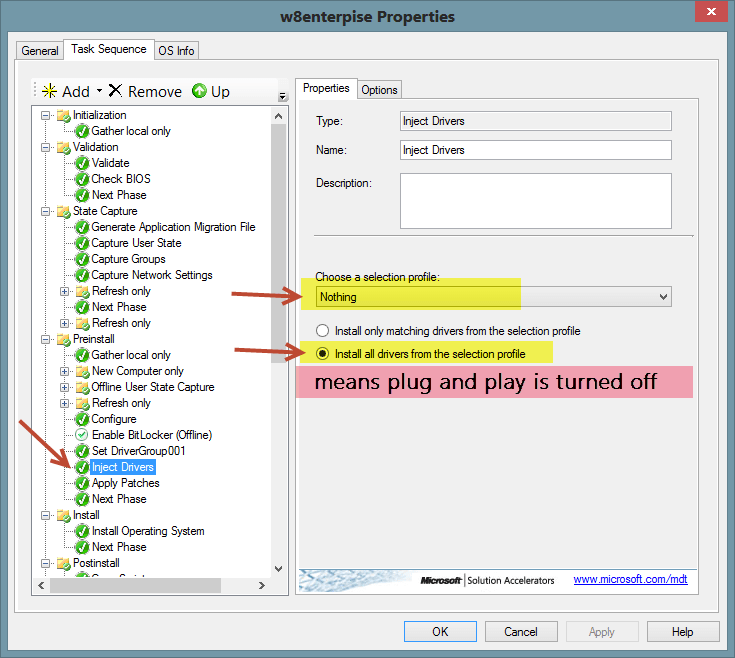 Finally, you want to go into you’re Inject Drivers node and make sure you’re not using profiles Selecting Nothing in the Choose a selection profile and choosing the install all drivers from the selection profile. Which in reality is turning off plug and play. 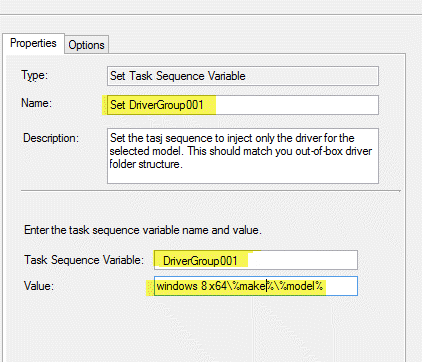 Note that if you leave the Choose a selection profile set to all drivers, the task sequence is going to inject the drivers in your matching folder and all the other folders. 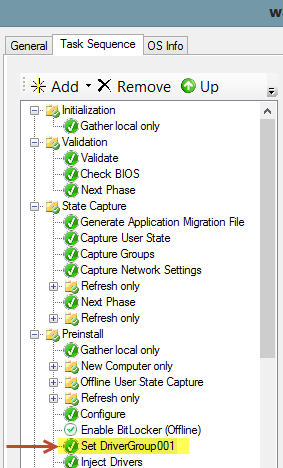 When running a sequence to join a domain you will usually not have any issues on actual hardware or using Hyper-V using the below customsettings.ini that uses the domainadminID format. Occasionally using the above settings will fail in vmware. If so, try changing your settings as shown below.